Ordinaire is among the first to publicly sever ties with Charlie Hallowell's restaurants. 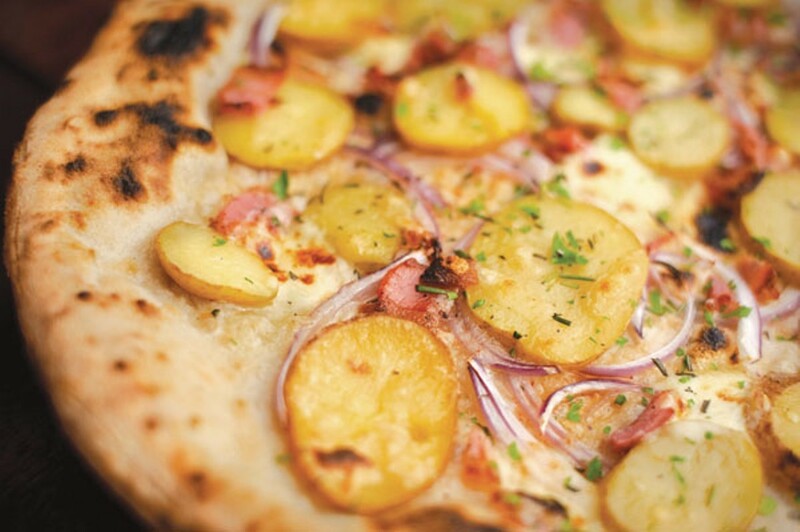 There will be no more of this Boot & Shoe pizza at Ordinaire. Oakland natural wine bar and shop Ordinaire announced over the weekend that it will not longer serve Boot & Shoe Service pizzas. The change stems from allegations that Boot & Shoe owner Charlie Hallowell sexually harassed at least 17 employees at his restaurants. As more and more reports of sexual harassment emerge about major figures in the food industry, many folks are wondering whether or not they should boycott their businesses. While the majority of the accused owners, including Hallowell, have stepped away from their businesses, they have only done so temporarily and continue to profit off of them. On the other hand, some victims remain employed at these restaurants and still rely on those wages and tips to make ends meet. Ordinaire is among the first to publicly sever ties with Hallowell, taking a significant stand that boycotting — as customers, suppliers, and business partners — is the answer. “Change will only come if corporate officers and investors are economically threatened and the current modes of production are broken,” Ordinaire posted on social media.